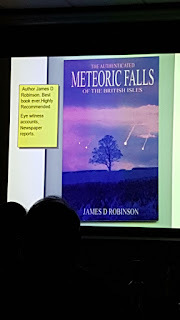 Thank you very much to Dave Powell of Barry Astronomical Society who gave us a spellbinding talk on "Meteorite Falls in Wales" this evening. 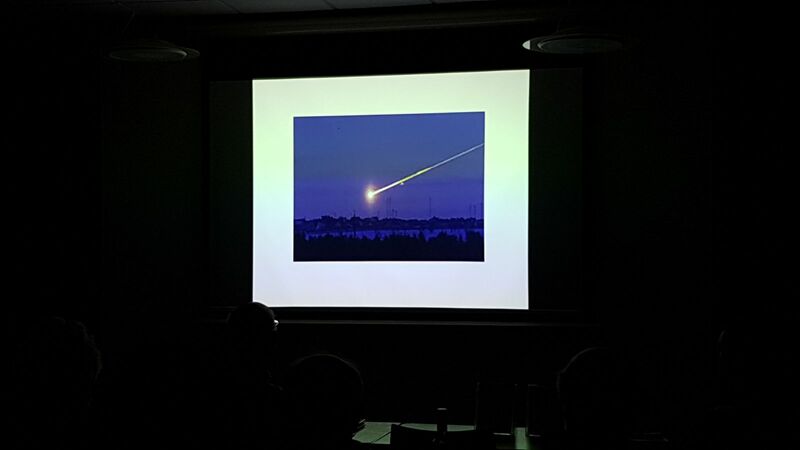 A fireball is about the size of your fist up to the size of a chair and burns up in the atmosphere - it is similar to Venus's brightness at -4 mag. A meterorite, however, is bigger...the size of a room or several football pitches. 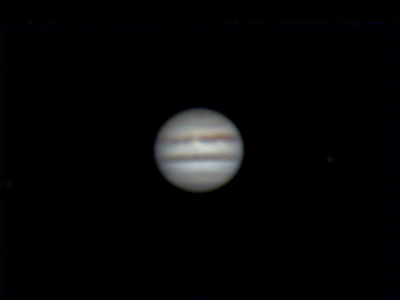 Its size means that it doesn't all burn up and some of it lands on the ground. In recent history, you may remember the Chelyabinsk meteorite in Russia in 2013 which was recorded on many car dash cams. 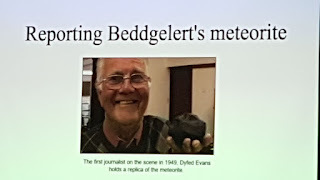 In Wales, there have been two main meteorites recorded - the first was in Pontllyni on April 14th 1931 which was seen as a daylight fireball from as far away as Leeds and Rippon. Only 5 ounces was found and the rest may have fallen into the Irish Sea. 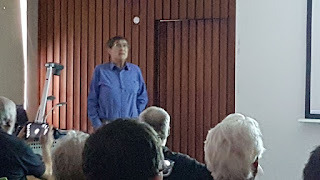 Dave told us the fascinating and often amusing story of the tussle over ownership of the discovered rock, which was eventually donated to the British Museum in 1975. Parts of it are now all over the world. 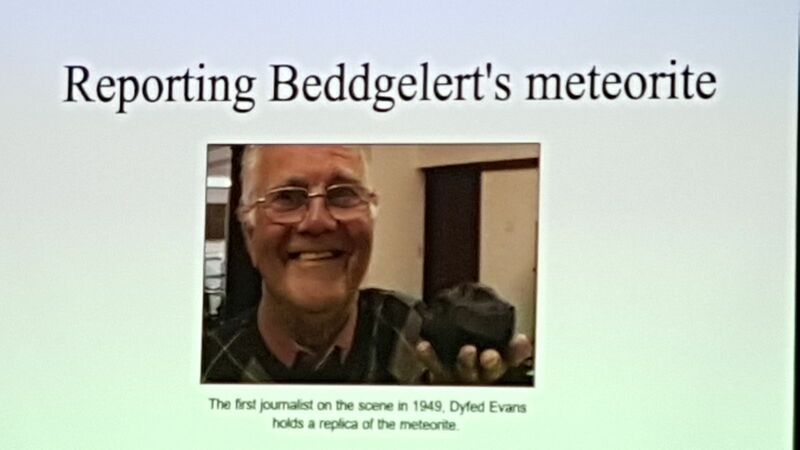 The second meteorite fell on 21st September 1949 on a pub/hotel in Beddgelert. 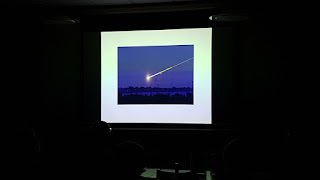 The hotel had 12 rooms and the meteorite fortunately fell on the only unoccupied room! It weighed five pounds. Obviously there have been many more falls in history, and it's likely that there are many other rocks from outer space lying out there undiscovered! 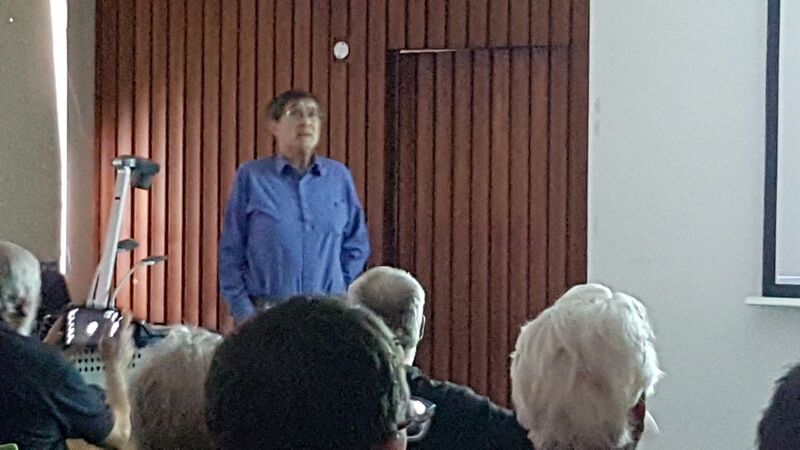 Thank you again to Dave for a very interesting talk!